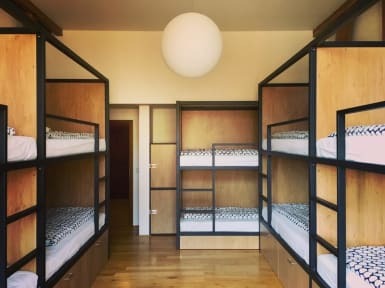 Hostel One Miru i Prag, Tjeckien : Boka nu! Great hostel for party people! My girlfriend and I stayed for a couple of nights and were very satisfied with the hostel, even though we’re not looking for the typical “backpacker party life”. Cool activities every day, free veg dinner and friendly staff!